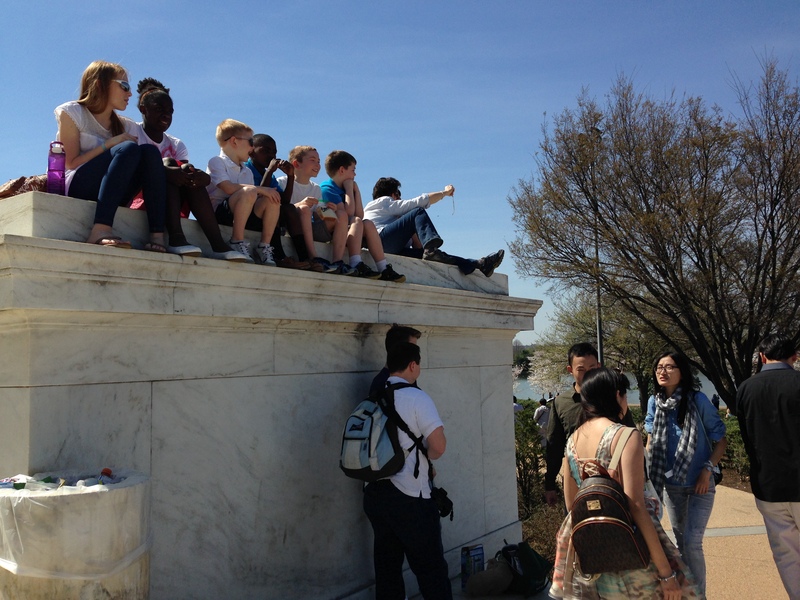 The Jefferson Memorial looking over the tidal basin in southwest D.C. during full bloom. Cherry trees gifted by Tokyo. I’ve been warming up to pink. Never a fan, to me the smarmy color represents nausea and forced gender roles. But I had to get into the pink ribbon thing when it meant something to cancer strugglers I know. And now that forced cheer has turned to real cheer. 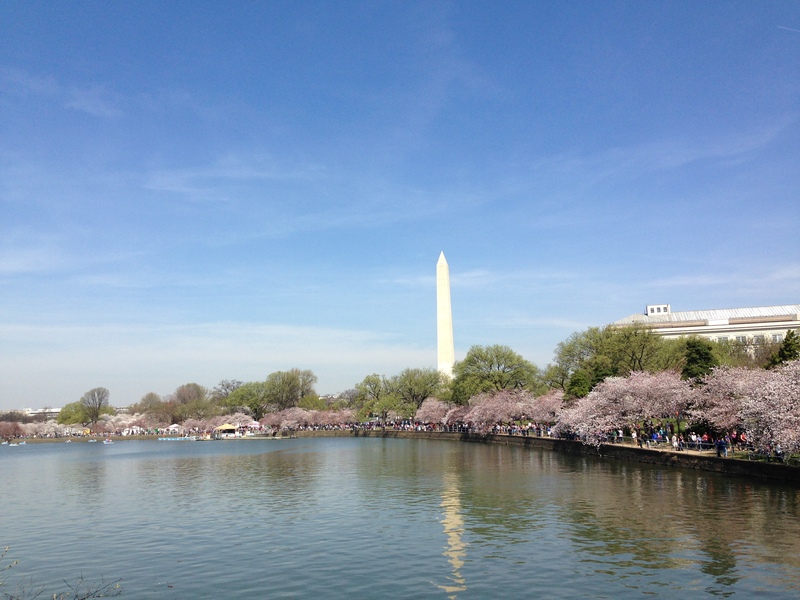 It’s the Cherry Blossom Festival in Washington D.C., celebrated with pink flags and pink petaled logos. There’s pink apparel, pink ice cream, pink backpacks . . . persistent pink paraphernalia. By sheer coincidence, that’s actually the color of the cherry trees this week, the trees gifted by Yukio Ozaki, the mayor of Tokyo, in 1912. I don’t know how many of the 3,000 trees delivered survived, but enough to attract a whole big bunch of visitors every year. 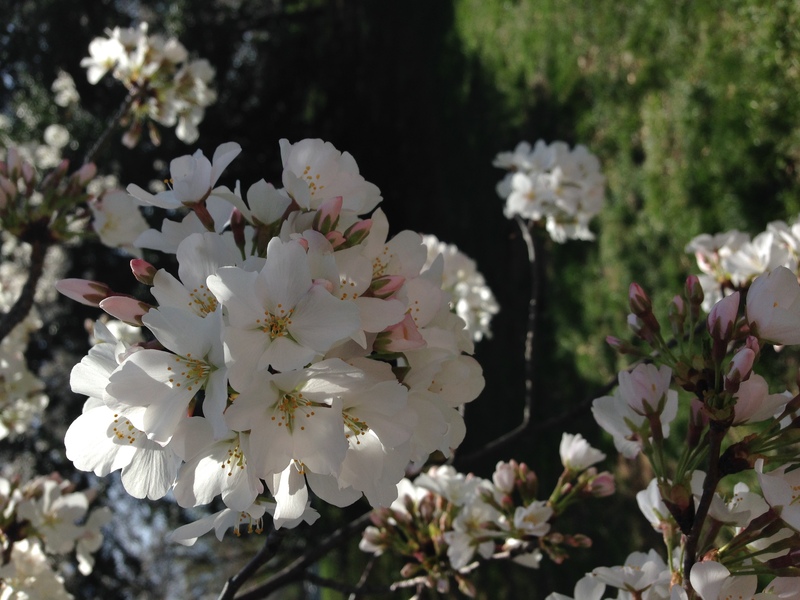 I’m glad to learn our government reciprocated by sending flowering dogwood trees to Japan in 1915. But I wonder what comments a blog like this might have offered in spring, 1942, a few months after Japan bombed Pearl Harbor. 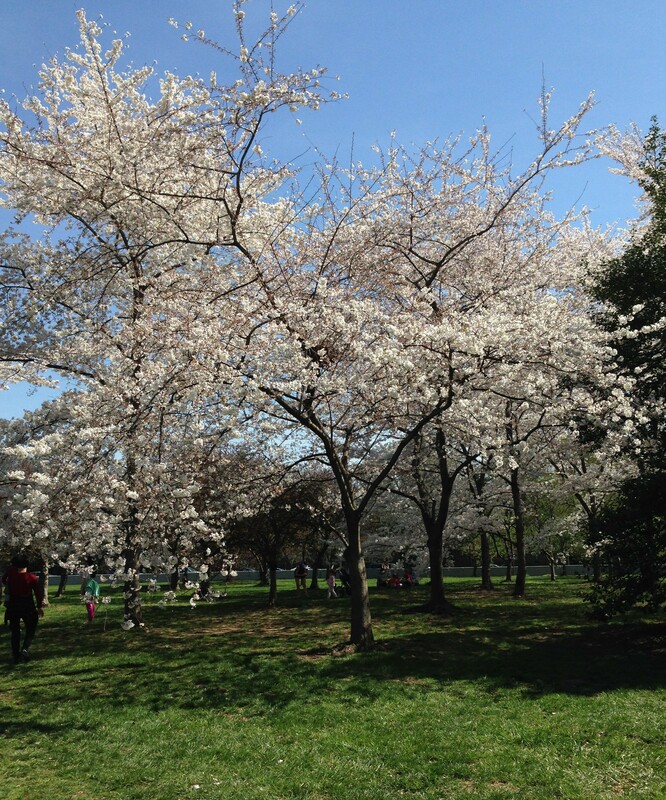 Let’s not reopen wounds, let’s take a look at the effect the trees, planted around D.C.’s tidal basin, have on the atmosphere of place. As I share a picnic lunch with my husband, who works in a federal office a few blocks away, we watch a slowly-moving, mostly-smiling, current of diverse people traipse along the edge of the tidal basin during the lunch hour today. Driving in to D.C. is always a refresher course in ‘why I hate America’ as the gentrified drivers of Northern Virginia, who will always cede me space when I use a turn signal to enter traffic, are replaced by bleeping mini-vans, agressive dark-tinted SUVs and taxi drivers. The latter seem to blame me personally for their Uber troubles. But these people we watch now, delirious with the scent of cherry blossoms, seem to have left their aggressions in their cars. 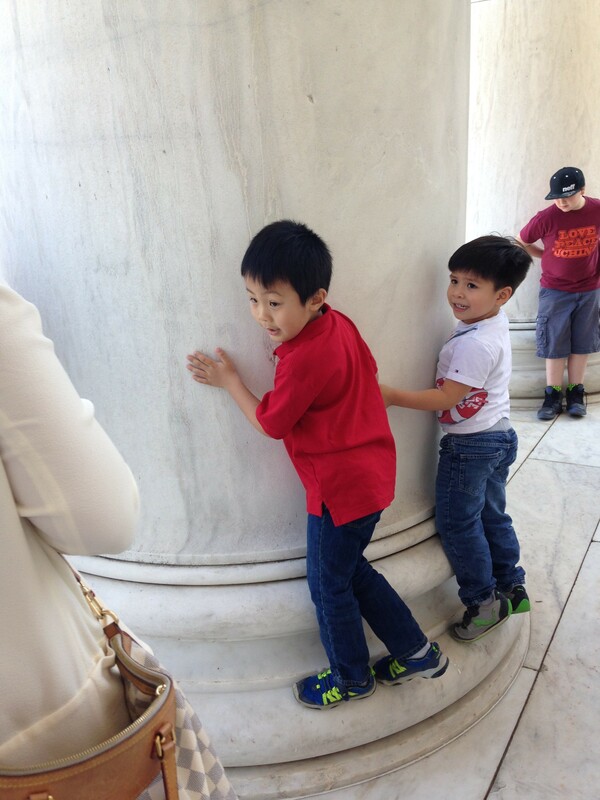 We catch the stream to the Jefferson Memorial and meander up the steps. I can’t help but wonder what this place looked like in 1942, just 30 years after the arboreal gift was transplanted, as we, the Americans, locked up anyone Japanese in internment camps. What conversations occurred here then?